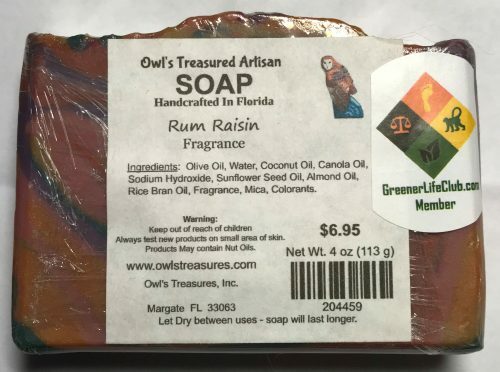 Product Website Address: Owl's Treasures, Inc.
Fragrance Description: Warm bakery scent beginning with top notes of rum and raisins; followed with middle notes of Butter, Butterscotch, Caramel Creams, and Maple Syrup; sitting on base notes of walnuts and vanilla beans. 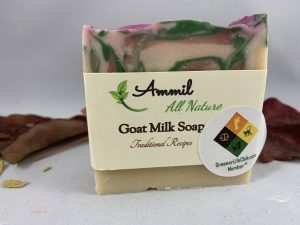 Ingredients: Olive Oil, Water, Coconut Oil, Canola Oil, Sodium Hydroxide, Sunflower Seed Oil, Almond Oil, Rice Bran Oil, Fragrance, Mica, Colorants. 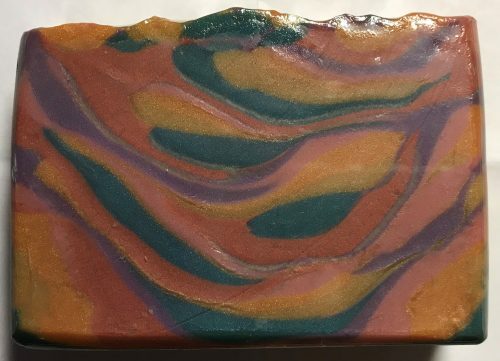 Our handcrafted artisan soaps are hand cut, so actual weight and size of each bar will vary slightly. Weight and Measurements are taken at time of packaging. Handcrafted soap will continue to cure after packaging. Company or Makers Name: Owl’s Treasures, Inc.